I was totally happy when I got a start kit of Silhouette Stamp Material in my dt-kit from Hobbyworld. I was not dissapointed because the stamps turned out great. I just wanted to add that to be able to use the special cutting mat you have to remove the white protective paper first. Don’t ask how I know that ;) The material is quite thin and if you cut intricate stamps from it they will be kind of hard to get the right shape when you mount them. 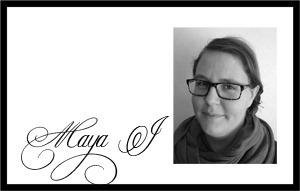 You can use your print function in Silhouette Studio to first print out the shape on regular printer paper, then cut the shape from the material and when you are going to mount the stamp you just put it over the printed image and see that the shape looks right and then just press down your acrylic block on top and it will stick to it and be the right shape. 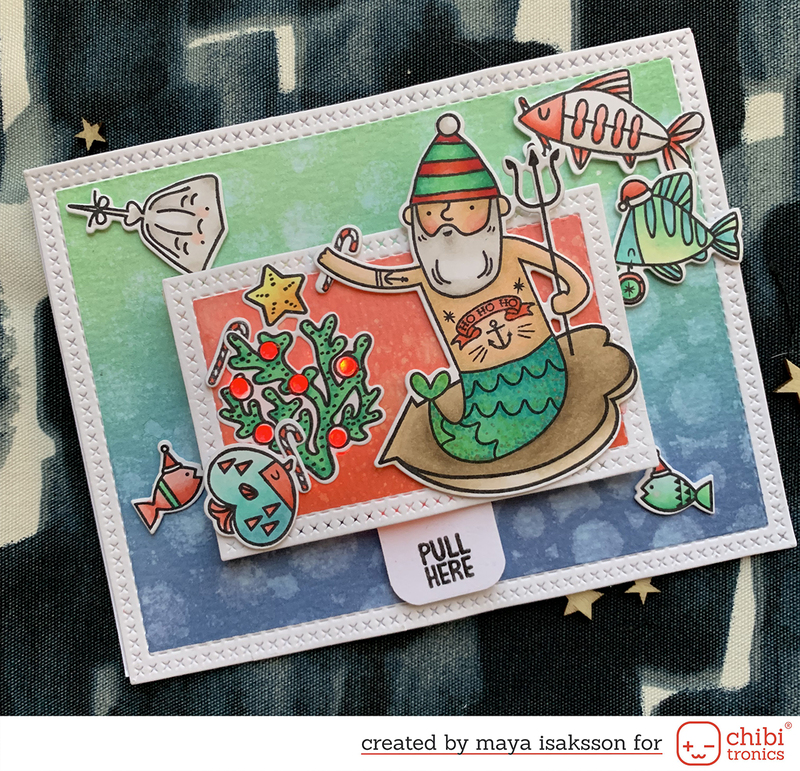 I decided to make a Christmas stamp since most of mine are in english. I am really happy with how it turned out! 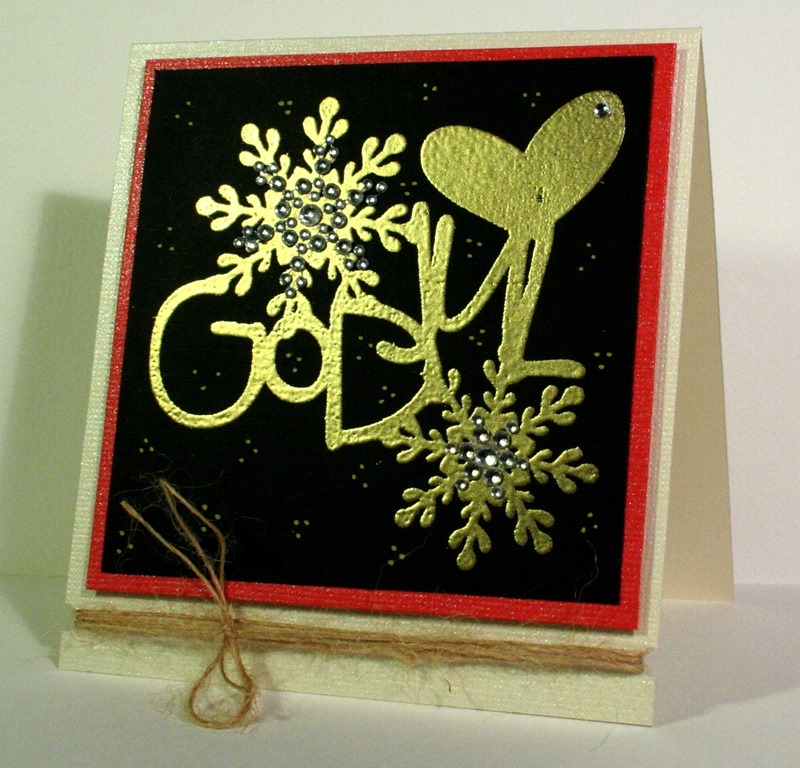 I embossed the stamp in gold on black cardstock and the embossing ink worked great with my stamp. I cleaned it with a baby wipe and let air dry. 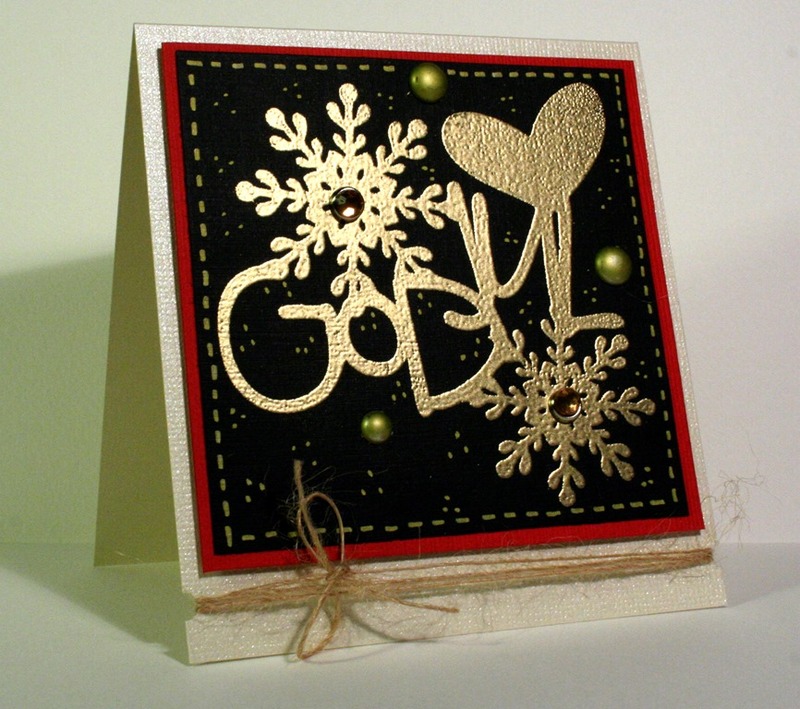 The first card I embellished with brads from Carta Bella. I also had some left over enamel dots in odd colours and I painted them gold with some great gold pens from EK Success. 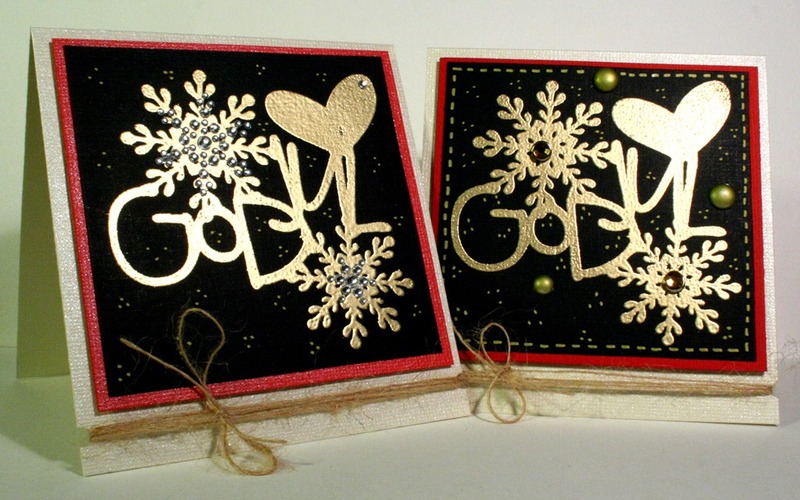 I uset the same pen to doodle little dots on the card and faux stitching. ÄÄÄlskar svart och guld - mycket fint! !